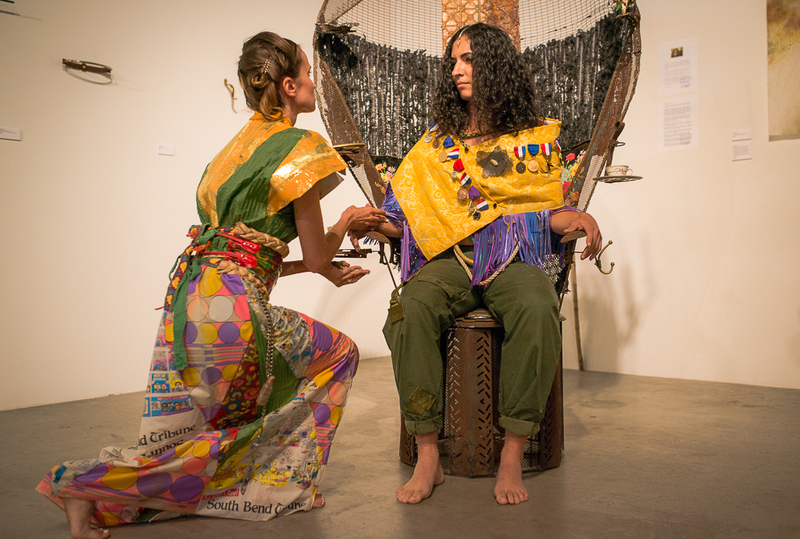 Hot off the press, this wonderful video that capsulated the Spiritual Warrior performance and fashion show held at Disjecta for the opening night of Glean on August 14th. I am so blessed to have creative people in my life that support me with their energy, time, and professionalism. From the crew who did make up and hair- Sam Kuster, Haily Graham to the spirit guides / models- Laura Page, Amelia Shelly, Willow Finney, Jade Pekkala, Crystal Zingsheim, Jasmine Rain and the talented videographer Mia Allen! A million thanks to you! !